The Moverio BT-350 AR smart glasses – designed specifically for cultural and entertainment venues – have been combined with a software application developed by the National Theatre, Accenture and Stagetext to allow deaf and hard of hearing customers to read subtitles in their field of vision from any seat in the auditorium. SmartFocus is a digital marketing company that helps clients deliver insight-based brand interactions that boost engagement and the value of each customer. Affaires Pâtissières designs, packages and markets tasty and easy-to-use, ready-to-cook ingredient boxes for home cooks and delicatessens. Thanks to its recipes, teamed with suppliers from major food shops, delicious pastry is even more accessible. A C7500G label printer from Epson gives Danish wholesaler Greens Engros the opportunity to create customised labels within minutes, saving resources and giving greater flexibility for product design. 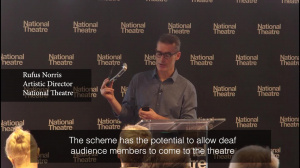 Founded in 1963, the National Theatre (NT) is one of the UK’s most prominent performing arts venues, presenting new writing, classics, comedies and musicals. It is located on the south bank in central London, and is responsible for smash hit productions such as ‘War Horse’ and ‘One Man, Two Guvnors’. Hightown Housing Association Limited is a charitable housing association operating across the South East of England, principally in Hertfordshire, Bedfordshire, Buckinghamshire and Berkshire. Every day, 618 children and young people from across the UK arrive at Great Ormond Street Hospital (GOSH), which carries out life-saving treatment to help seriously ill children. Rowan Tree Surgery is part of the Clanricarde Medical Group. Located in the southern part of Tunbridge Wells, it delivers medical care to 14,921 registered patients. Whitstable Medical Practice, comprised of four GP surgeries, currently serves a population of approximately 40,000 patients. The Better Food Company Ltd (known as Better Food), sells the very best organic, local and ethically-sourced food. Launched in 1992, the company now employs more than 100 people over three sites, providing a route to market for over 70 local businesses, including farms, producers, manufacturers and suppliers. 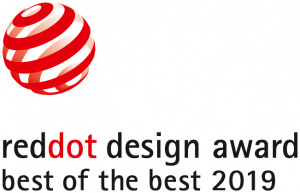 Featuring stunning projection mapping provided by Epson, the world’s number one projector manufacturer. Since its inception in the late 1960s, video art has been slowly growing in popularity. It’s a medium that relies on using video technology and can take many forms, including installations viewed in galleries or museums. Today, projection is being used by an increasing number of artists, including Sondra Perry. Recognise the potential risks and the solutions that can overcome them. The Congress Centre at Westfalenhallen in Dortmund, Germany, has been given a makeover. The modernisation of the Goldsaal kicked off the renovation works, and with the arrival of Epson's projector technology. CQLT SaarGummi Technologies, headquartered in Luxembourg, is an expert in sealing systems. It chose Epson's Moverio smart glasses to roll out a remote support programme to its global offices. System integrator AVEX is a specialist in leading audio-visual solutions. When one of AVEX's clients, a business services provider in Amsterdam, needed to refit its boardroom and auditorium, account manager Marcel Brinkhof, knew just which projectors to use. In her beauty salon, Hautsache, Christine Meißner gives customers a break from the daily grind and is focussed on providing the best possible customer service. This is why she chose the TM-T88VI-iHub for her point of sale (POS) system. Tiller Systems is a cash register software developer whose products enable customers to make orders, take payments, manage stock and staff and analyse transactions from tablets, in real time. Tiller chose Epson's POS printers - the TM-m30 and TM-P20 - to enhance their payment solution for their restaurant customers. Seelmann Commercial Advertising, based in Germany, is a specialist in supporting small and medium-sized industrial enterprises. It chose Epson's EcoTank ET-7750 for all its office printing needs. 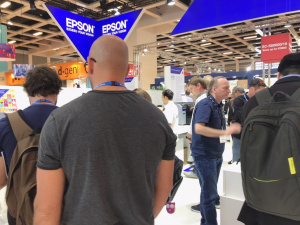 To give its customers the opportunity to stand out, Renaud Distribution chose Epson's LabelWorks LW-400 label printers. When it comes to preparing issues for print, as well as organising conferences and events, Vidi magazine's editorial team chose a reliable and cost-effective everyday colour-printing solution - EcoTank. It's estimated that the new Epson printing solution will help the city of Bjelovar to save approximately HRK 80,000 annually in document printing costs, as well as significantly lowering electricity bills. By combining bite-size online and off-line services into an inspiring community programme, Salescyclegroup ensures training knowledge is retained. Although Salescyclegroup's resources are mainly digital, course materials are provided in printed format too. For some time now, they have been printing these on an EcoTank printer. The World Museum in Vienna has re-opened following a complete redesign, and now also includes a traditional yet modern coffee house. Of course, the till system is also state-of-the-art, and Epson's TM-m30 printers are a central part of it. The TeleUnicom-Globalsat Group applied rigorous criteria to the selection process for the solution to their company's printing needs, and it was Epson's expertise that made the grade. To showcase Greek heritage, the Foundation of the Hellenic World selected Epson to provide its innovative projection solutions for the “Stories of Valour” exhibit on the Hellenic Navy. In 2018, women's basketball team Artego Bydgoszcz won the Poland Cup. Away from the game, the club's back office were managing the admin: letters, paper and digital documentation arrive there and have to be managed properly and economically. Multifunction office tools from Epson are playing their part. Launched in 2013 by Txiki Productions, the Txiki Festival – a film festival for children – today brings together over 2,000 attendees across four days in Biarritz. In her shop, Jaspers & Co., Claudia Fässler sells beautiful items for the home. For her Point of Sale (POS) system and the entire back office, she relies on online solutions teamed with Epson's TM-T88VI-iHub to print receipts. In 2013, Rudy Hattab launched his traQ’food project. A tool that allows restaurant owners to monitor and ensure the quality of their products on a daily basis. A veritable hygiene partner of food service and catering professionals. Over the last few years, Aalborg University has been optimising its AV setup. It aims to streamline IT operations with a focus on user-friendliness. The university has bought five Epson installation projectors for its auditoriums and assembly halls. Epson laser projectors are being used for advanced simulation and visualisation solutions to help shape the future of the maritime industry. Bacania Veche's labelling experience started out with handwritten labels. Today, it sells over 1,000 products and uses Epson's ColorWorks C3500 to print labels on-demand for them. Hermanni Meronen, who runs a family company offering restaurant, catering and photography services, has grown his business with Epson's SureColor SC-P8000 printer. This versatile printer has meant they can offer new and creative solutions to bring in new business. Led by Juan José García Grande, the Head of Visual Merchandising, AKI Spain has launched an initiative in all its stores in Spain to boost efficiency when creating signage for the brand's commercial premises by using Epson's ColorWorks. Dockweiler AG in Germany is one of only a few specialists in the world for the development of high-purity stainless steel pipe systems. The company chose Epson's ColorWorks to produce its labels. When implementing key client event projects, a Polish agency, September Events, decided to use Epson printing and projection technology - to much success. In the UK, these savings add up to 32,802,059 Euros worth of energy bills and up to 75,663,436kgs of CO2 over four years . Epson brings the most comprehensive range of robots ever to automatica 2018 reaffirming its 30 years' industry experience, customer-centric approach and strategic growth plans in the sector by 2020. Why should you care about the circular economy? Epson reseller Xpres signs order for the UK’s first SureColor SC-F2100 DTG printer. Tchibo Türkiye tarafından 60 adet WF-5620 model yazıcı alımı gerçekleştirildi. Tchibo Global IT Uzmanı Samet Güney; “Tchibo birçok farklı ülkede de Epson markalı yazıcılar kullanmakta. Biz de buradan yola çıkarak deneme yaptık ve eski ürünlerimizle karşılaştırdığımızda maliyet, hız ve kalitede çok ciddi avantajlar gördük" dedi. See the latest applications from signage and display to giftware, textiles and photographic on Stand D30, Sign & Digital UK (24-26 April 2018, NEC). The concept of the paperless office is over. In fact, according to printing industry analyst, Louella Fernandes of Quocirca, “Far from being dead, print is enjoying a resurgence as a way for people to disconnect from the noisy online world”. Visitors to the Epson stand at FESPA this year will enjoy a colourful display and an array of applications from textiles and fashion to promotional items and signage.Stand Hall 2.2D30 at FESPA in Berlin, 15-18 May. Visitors to the Epson stand at FESPA this year will enjoy a colourful display and an array of applications from textiles and fashion to promotional items and signage. Stand Hall 2.2D30 at FESPA in Berlin, 15-18 May. Where does print fit in today’s digital world? Epson’s Adrian McLellan believes it remains at the very centre of organisations using digital to reimagine workflows and processes. What does it take to plan a pregnancy reveal? In a world where children have almost constant access to devices such as tablets and smartphones at home – often from a very early age – schools are facing the challenge of being able to effectively engage pupils throughout the day. How to upgrade your conference room TV? 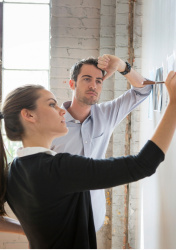 As businesses push through 2018, what do they need to consider when upgrading dated, dusty and power-sapping boardroom displays? Colourbyte delivers a SureColor SC-F9300 dye sublimation printer to busy bespoke fulfilment house WPAPS. Working with third party substrate suppliers, Epson will demonstrate the colour quality, durability and flexibility of its ColorWorks range of inkjet printers at Stand G27 at Label & Print (28 February -1 March 2018). Colour match for vehicle wraps and other forms of signage are reliably consistent with the Epson SureColor SC-S80600 supplied by Perfect Colours, says AD Bell Managing Director Simon Bell. With around 450 members, the Austrian Armed Forces Command headquarters, with offices in Graz and Salzburg, runs two repro centres, that provide print services to all organisations and departments within the area. The Secondary school of advertising design and printing in the Czech Republic teaches artistic disciplines and educates a future generation of graphic designers and artists in printing, design and promotional services. It needed a top-quality professional printer and chose Epson's SureColor SC-S40610. The arrival of the ColorWorks C3500 at Booths stores has enhanced branding and eliminated the hassle of its previous promotional messaging. Epson’s latest business inkjet printers edge out laser competitors – delivering 50% lower running costs and higher energy savings for small workgroups. The Thron company has sold pharmacy goods, photos and accessories for around 50 years. Today, Cornelia and Werner Olgemöller in Kronach, Germany run a modern photo studio. For printing, they fully rely on Epson technology. The photography sector offers many business opportunities for those who look to the future with enthusiasm, creativity and far-sightedness. Such as Artphoto Evaluna, based in Umbria, Italy, which is going all-in on Epson's inkjet fine art technology to offer an innovative, superior quality product to professional photographers. British textiles manufacturer Threadster has added Epson dye sublimation and DTG equipment, supplied by Xpres, to increase its capacity. In an increasingly borderless world, how can resource efficiency help businesses cut costs, boost margins and ultimately remain competitive? After 83 years in the same Oslo location Sturlason AS Polyfoto has relocated to larger premises. At the same time it has updated the way it prints images with a SureColor SC-P10000 large-format photographic printer. As a five-star attraction that describes itself as being “on a mission to make the world fall in love with Scotch whisky”, it is vital for the Scotch Whisky Experience (SWE) to delight and inspire customers in equal measure. Innovative ideas deserve the best technology to transform them into successful projects with maximum impact. This is shown clearly by the work of DOOH.IT, an Italian company that has made the creative use of innovative technology its speciality. Entering Hamburg harbour by tanker in stormy weather? Passing a cargo ship at night through the Kiel Canal? Handling a short wave on the Vistula Lagoon? Only one realistic navigation system in Poland can train future captains to handle these scenarios, and at its core is a set of seven EB-G7800 projectors. Is it time to put your printing on a diet?